It’s my turn to share my feline wisdom on this week’s fill ins. This is a blog hop hosted by our furiends 15andmeowing and Four-Legged Furballs. 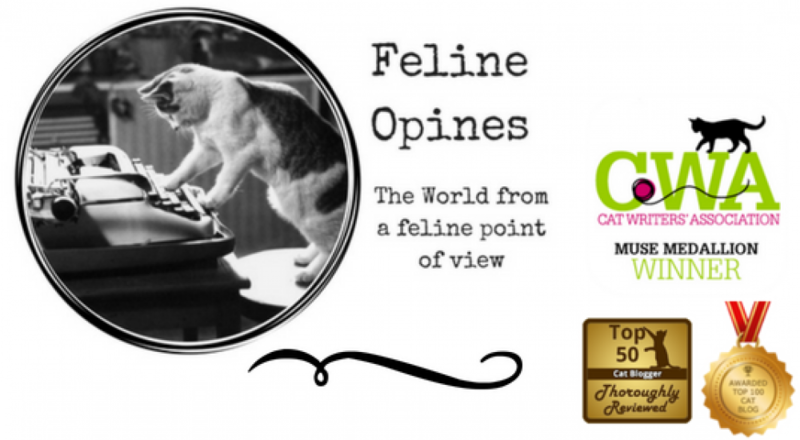 You can hop on over to their sites and enter your blog post or, if you purrfer, just opine about your answers in the comment section of this post. 1. The best teacher I ever had was (and is) our Alpha Tucker. He shares his wisdom with me all the time. My favorite lesson was how he taught me to find every sliver of sun and revel in it! 2. The worst teacher I ever had was (and is) my brother Alberto who will make me sit with him for hours watching for bugs and birds. Even if we see them, we can’t catch them because they are outside! Sheesh! 3. I recently learned how to hide myself in a box so that if the female human came by from the right side, I can scare her silly. 4. I think everyone should know how to chill, hide and relax like a cat!